On Wednesday, August 8th, David D. Kirkpatrick, the New York Times correspondent who covered the Arab Spring will be in our store to discuss his new book Into the Hands of the Soldiers--a candid narrative of how and why the Arab Spring sparked, then failed, and the truth about America's role in that failure and the subsequent military coup that put Sisi in power. In 2011, Egyptians of all sects, ages, and social classes shook off millennia of autocracy, then elected a Muslim Brother as president. The 2013 military coup replaced him with a new strongman, Abdel Fattah el-Sisi, who has cracked down on any dissent or opposition with a degree of ferocity Mubarak never dared. New York Times correspondent David D. Kirkpatrick arrived in Egypt with his family less than six months before the uprising first broke out in 2011, looking for a change from life in Washington, D.C. As revolution and violence engulfed the country, he received an unexpected and immersive education in the Arab world. Into the Hands of the Soldiers is a heartbreaking story with a simple message: The failings of decades of autocracy are the reason for the chaos we see today across the Arab world. Because autocracy is the problem, more autocracy is unlikely to provide a durable solution. Egypt, home to one in four Arabs, is always a bellwether. Understanding its recent history is essential to understanding everything taking place across the region today--from the terrorist attacks in the North Sinai and Egypt's new partnership with Israel to the bedlam in Syria and Libya. 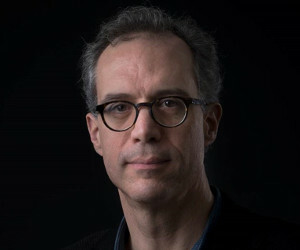 David D. Kirkpatrick is an international New York Times correspondent based in London. From 2011 through 2015 he was the Cairo bureau chief. He has also been a reporter for The Wall Street Journal and a contributing editor for New York Magazine. This is his first book.